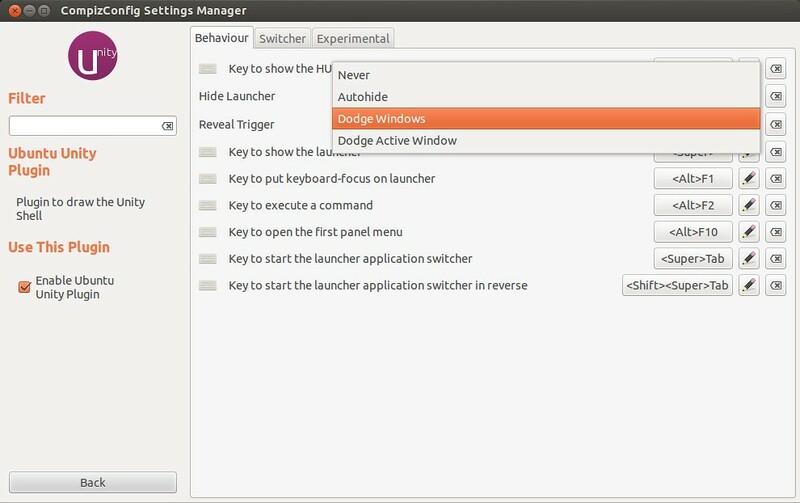 As you well know, in Ubuntu 12.04 Dodge functionality has been removed from Unity, and then you can not hide the launcher when you maximize a window. Although highly recommended, this function can be re-introduced in Unity through the installation of a tweak. No Comment to " Re-Enable Dodge Windows in Ubuntu 12.04 Precise "